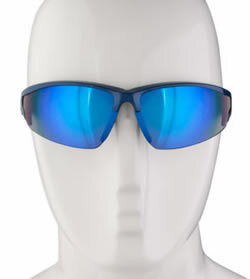 Aero Tech Triumph Sunglasses - Ultraviolet Ray Protection for your eyes. 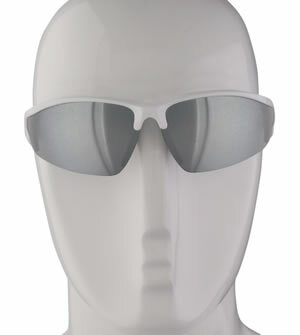 These Fashionable Wrap sunglasses protect your eyes from the UV rays of the sun. They also protect from dust, pollen, and road dirt. This style features Polycarbonate (PC) lenses which are lightweight and scratch resistant. 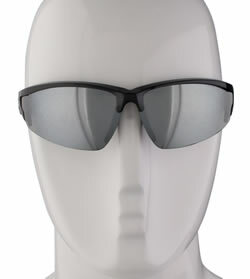 The smoke lenses reduce glare and UV rays without distorting color. Whatever your choice, these glasses offer a great blend of style and function. I use these glasses for driving and riding my bike. They are light weight and comfortable. Good wrap-around sunglasses for sunny days. No problems so far. Great glasses for the price. I have two pairs. I have two pairs. Great for the price. These sunglasses are the perfect fit. They feel very light and comfortable on your face. They stay in place and don't slide down your nose even when you're riding hard. I really recommend you buy these glasses! The sunglasses were advertised to be adjustable, (they were advertised to be). The lenses were mirrored rather than smokey grey (as advertised). They are OK, but not what I expected.